She has had you from the moment you knew she was on the way. 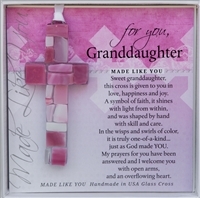 Gifts for granddaughters, should speak to how much she means to you. 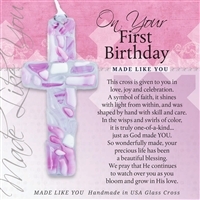 Whether shopping for a baptism gift for granddaughter, first birthday or welcoming her to the world, take a few minutes to read our sentiments. 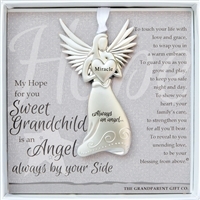 A Grandma Heart card or frame, or little granddaughter photo frame may be the perfect way to give a gift that could only be from Grandma.